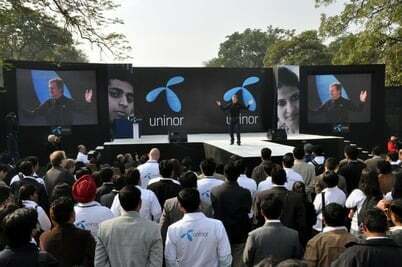 In a bid to rolls out its GSM Mobile services in Maharashtra and Goa telecon circle, Uninor, the Indian GSM mobile brand of Telenor, which launched across 8 telecom circles in December 2009 and has already registered 3.6 million subscribers within just 3 months of operations, today announced the opening of its Zonal office in Pune Maharashtra. Uninor’s Pune office will drive the operations across Maharashtra and Goa (M&G) and handle all functions for the entire circle including sales, marketing, and network operations. Apart from being the key office for the M&G telecom circle, the Pune workspace will also house a Mobile Switching Center (MSC). Uninor’s new office is situated in Cyber City , Magarpatta in Pune. Uninor, has Pan India UAS Licenses (for all 22 telecom circles) and holds 2G spectrum in 21 out of the 22 circles.The operator will be looking to consolidate its customer base that has touched 3.6 million across the eight circles that it operates in. Uninor, presently operates GSM Mobile services in eight telecom circles and intends to roll out its services in five more circles named Kolkata, West Bengal, Mumbai, Maharashtra-Goa and Gujarat over the next couple of months.